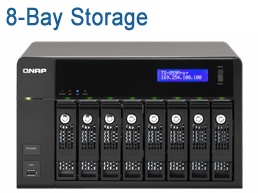 QNAP, Inc., as its brand promise "Quality Network Appliance Provider", focuses on delivering cutting edge NAS (network attached storage) and NVR (network video recorder) solutions featured with ease-of-use, robust operation, large storage capacity, and trustworthy reliability. Cross platform file sharing for smooth transfer of documents and other files. Virtualization-ready with VAAI and vSphere Client plug-in support, saving costs and optimizing networked storage utilization. 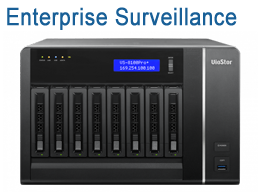 A reliable backup solution with large storage capacity and impressive file transfer speeds. Web server, printer server, and other applications available with App Center apps. Well-rounded user privilege design for centralized account management and authentication. Useful network settings provide convenience and ease of use. 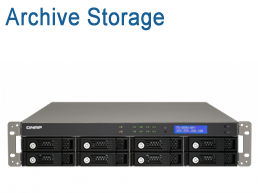 Features encrypted access, IP blocking, hard drive encryption and Antivirus to create a more secure network. iOS®, Android™ and Windows® mobile apps make accessing a Turbo NAS via mobile devices a snap. 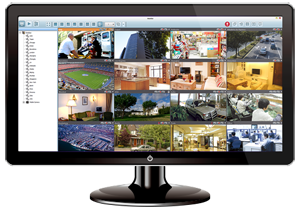 Create an IP-camera based surveillance solution for securing business offices and shops. Various handy utilities are available for you to work smartly with your Turbo NAS. 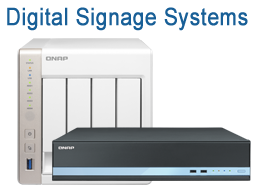 Surveillance Station by QNAP is a professional network surveillance system VMS (Video Management System). 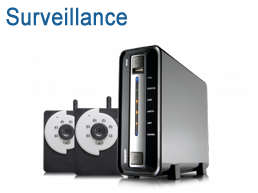 It's one of the Turbo NAS standard applications and can be activated on the QTS App Cneter in order to turn the Turbo NAS into a professional Network Video Recorder solution for real time monitoring, recording, playback, alarm notifications as well as management to keep your assets safe when used with supported IP cameras. 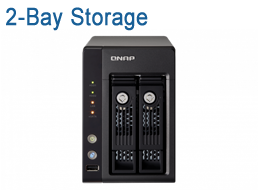 John P and Cali Lewis give you a quick look at the new QNAP HS-210. 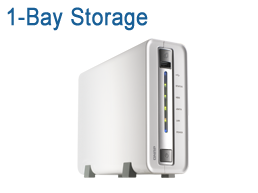 How to set up IP-SAN by using iSCSI target on a QNAP NAS? This tutorial goes over every step on how to create an iSCSI target and LUN with or without CHAP. 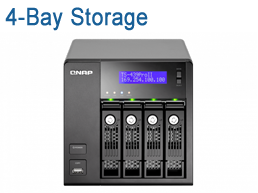 Setting up your first NAS with cloud installation - "QNAP QTS 4.0"
This a step by step tutorial on how to initialize a brand new QNAP NAS with QTS 4.0.0 Cloud initializing is our brand new feature and without a CD, you can easily configure your NAS. Our specialists are expert in designing network attached storage systems and can help you create a plan for sourcing and deploying your QNAP solution. 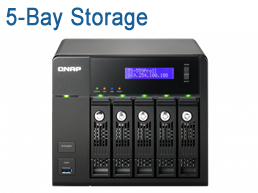 Optrics offers personalized QNAP Storage System training - a service designed to help you integrate your QNAP solution smoothly into your network infrastructure.